Welcome to the 8th installment! 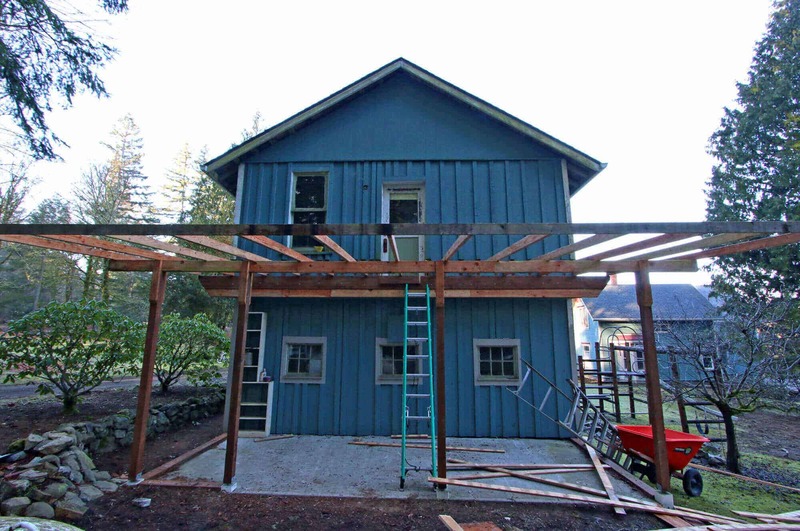 We purchased our 105 year old farmhouse a little over a year ago and have been working on renovating a tiny guesthouse on our property. The guesthouse is 93% complete!! All that’s left are some final touches in the upstairs loft and we have to put the railing on the deck stairs – stay tuned! We have some friends who have built several homes and they’re now strictly using Cadet heaters in their 3200+ square foot home. That’s nearly 3000 sq ft bigger than this tiny guesthouse so we figured if the heaters working well for them, they would certainly do well for a small place like this. Our friends have one in each room and can conserve energy by turning on the heaters only in the rooms they’re currently using. We also didn’t have the space for a furnace and didn’t want to spend the time and money installing a complex heating system for such a small space that will only be used intermittently. Cadet was the best and obvious choice. Cadet’s headquarters are right here in our home state of Washington and when you dial their number to speak to someone you get a real person based here in the U.S.. When we called Cadet with questions about their heaters their customer service and tech support were friendly, helpful and were able to make recommendations based on our unique needs and setup. 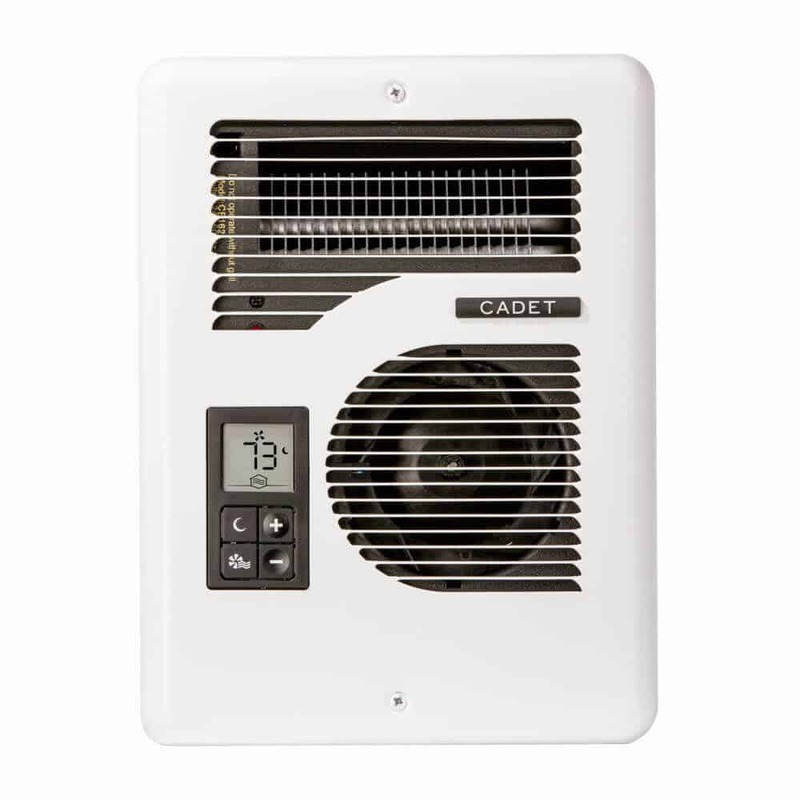 Best of all, Cadet’s heater units are very affordable and, depending on the model, come with up to a 5 year warranty. Installing each of the heaters was a breeze. 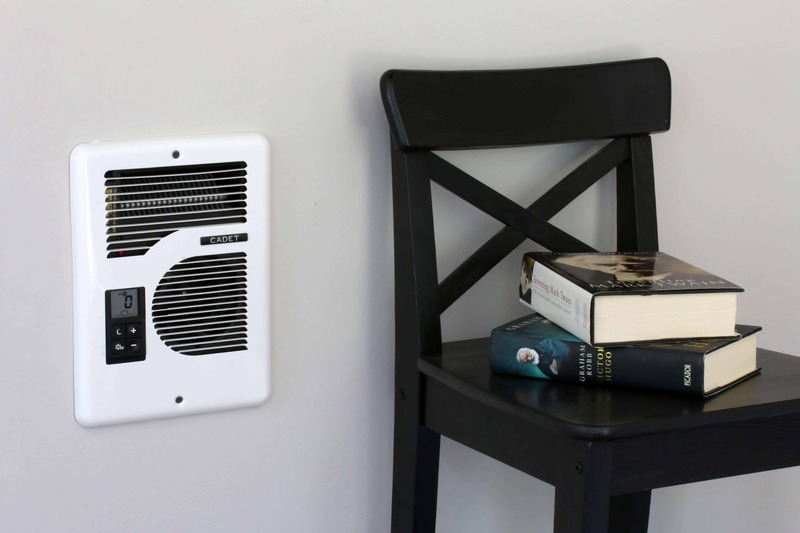 For the main living space we used the Energy Plus Wall Heater. It was simply a matter of cutting a hole into the drywall next to a stud for the heater can, mounting it onto the stud and running the power supply to it. Presto! 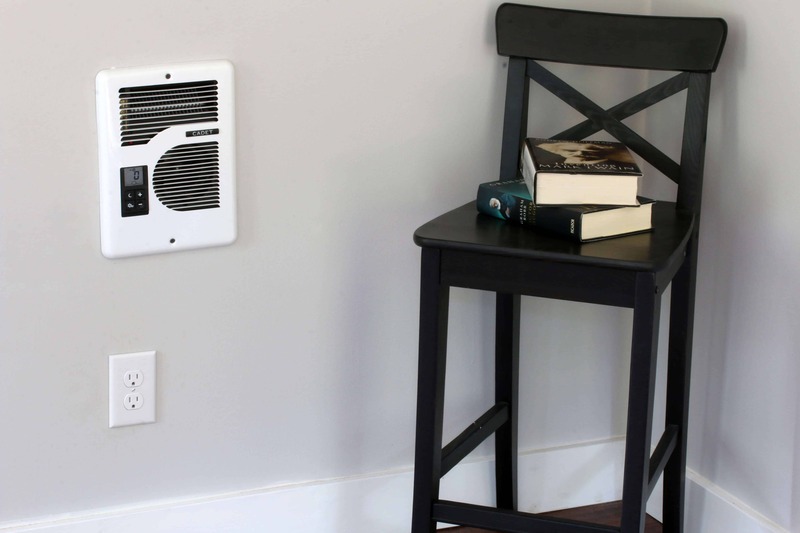 The Energy Plus Wall Heater has a built-in thermostat which is really cool. You simply set it to the temperature that you want and it maintains it. 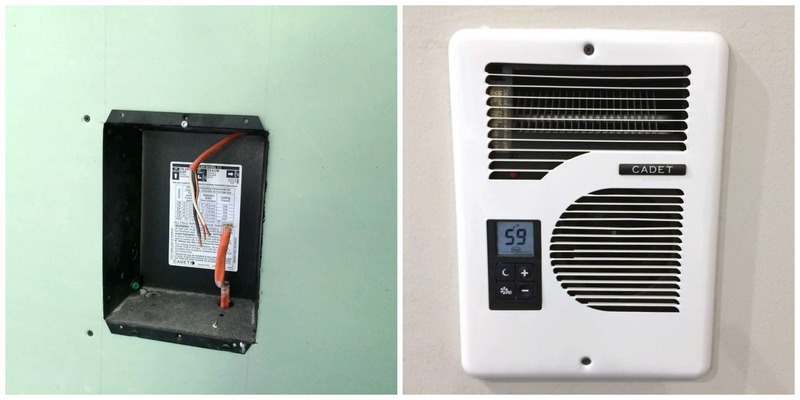 One of the unique features of it is that it varies the fan speed depending on the room temperature (e.g., if you come home and it’s only 50 degrees in side the house and you want it set to 68, the fan runs full speed to get the room up to temperature and then runs at lower speed to maintain the temperature. It also has a night/away mode so that you can pre-set a secondary lower temperature for sleeping or when you’re away – with a quick push of the button the temperature is already set. 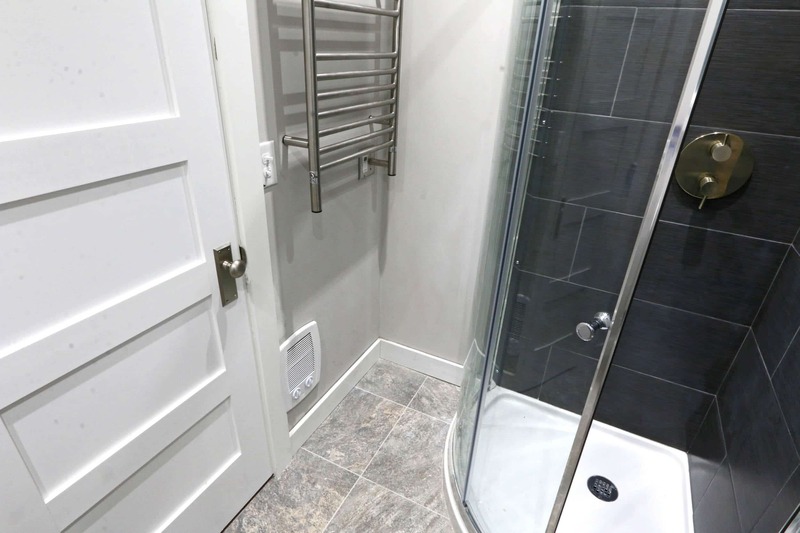 The Com-Pack Bath Wall Heater was equally easy to install – same procedure. 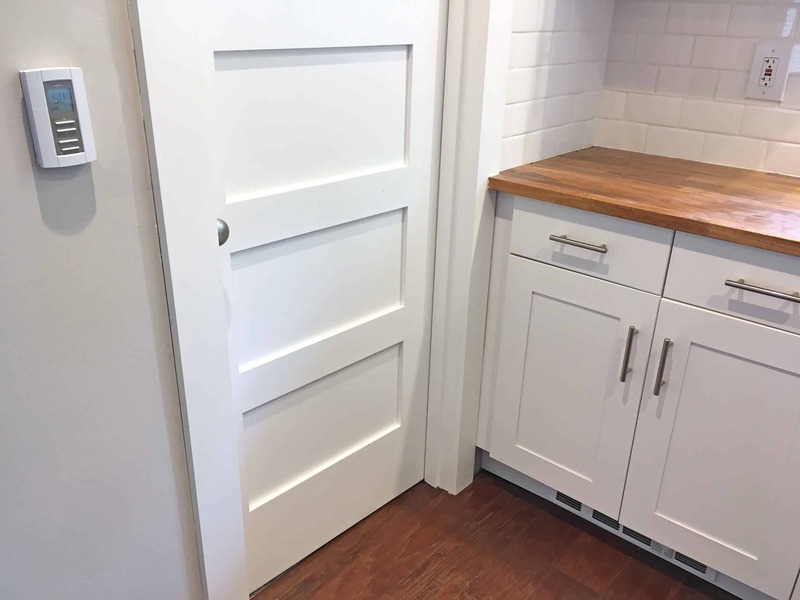 There was only one practical place in this tiny bathroom to put the heater and we had to carve out part of the door trim in order to fit the heater to the stud on that wall and to maximize space allowing for room in that corner for a small bathroom storage rack. 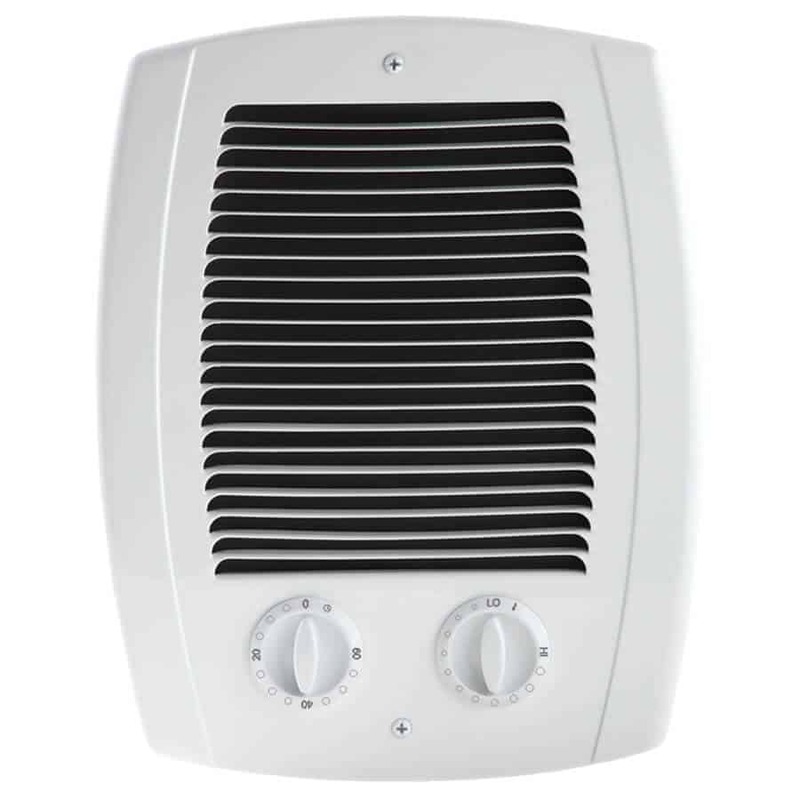 The heater is fairly small and inconspicuous and it fits in well with the look of the bathroom. It’s a powerful little heater – you feel the effects immediately. A nice feature is the timed on/off switch that ensures that it’s not accidentally left on for too long. Next we installed the Perfectoe Under Cabinet Heater that’s installed under the kitchen cabinet toe-kick area. One heater probably would have been enough in this small living unit but all 4 walls are outside walls (the fourth wall backs up to an unheated garage). As well as we tried insulating the walls, with the cold winter we still needed a second heater to keep one heater from constantly running. Rather than use more wall space (what little there is to begin with), we found the perfect solution: A heater than installs in the toe-kick under the kitchen cabinets. 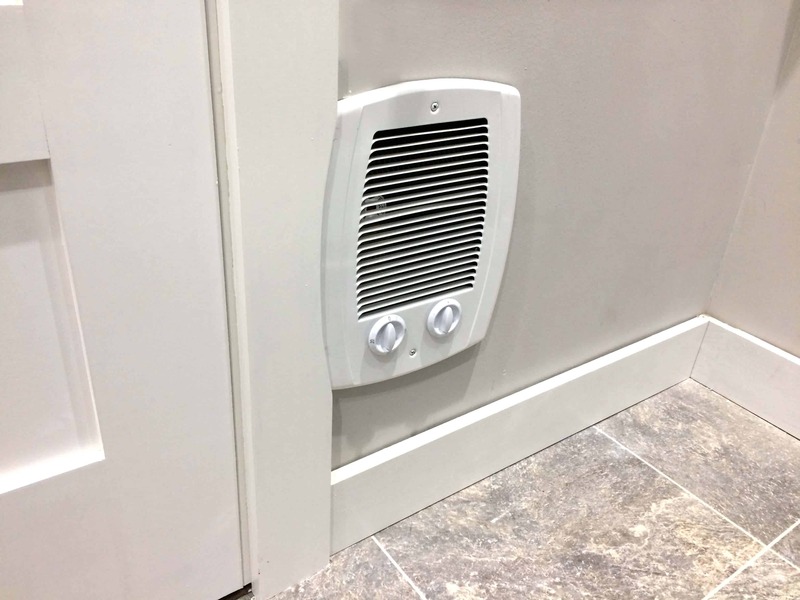 The Perfectoe Under Cabinet Heater is also perfect for bathrooms and stairwells. We also installed a wall mounted thermostat (the TH114, recommended and sold by Cadet) for the kitchen heater. What’s awesome too is that the heater doesn’t stand out at all, it blends in really nicely. We pre-wired the upstairs loft for a third heater and may still install one. We’re still determining whether the heat rising from downstairs into the small loft will be adequate and it’s looking like it will be. We’re really happy with and highly recommend Cadet’s heaters – they’re the perfect solution for our guesthouse! For more information about Cadet and to explore their awesome heating options, visit Cadet. Thank you to Cadet for partnering with us on this project and to my readers for supporting the brands who make The Daring Gourmet possible! Wow! The guest house looks incredible, and these heaters couldn’t be easier or more compact to keep everyone warm. Well done! It looks so great!! You have done a great job! in this weather I could use a new heating system in my house like this. Smart heat FTW! Love this! Thinking of installing a pool house, and this is great info! Those heaters look like a great solution! What a great solution! Those heaters look awesome. I love reading these updates! Those heaters are a great solution. Cadet makes a really solid product. Looking great you guys, the hard work’s paid off. Very cool heating system, and what a beautiful space y’all have created! Wow! This is a great idea! Thank you for sharing this! Such an inspiring project, I’ve really enjoyed following along. 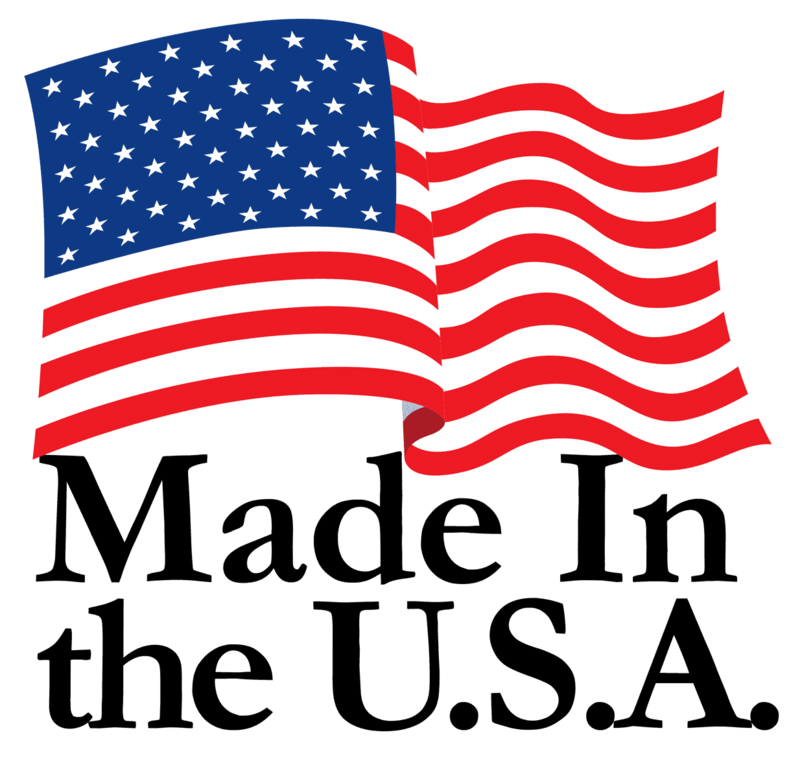 Our neighbors use Cadet heaters and have had very positive things to say. Everything is looking amazing, congratulations! I’m unfamiliar with these types of heaters. However, they do look perfect for smaller houses! I haven’t seen these heaters before, but what a great option! I can’t wait to see the final reveal of your project. It’s nice to know these heaters exist…I hadn’t heard of them before. Your guesthouse looks fabulous so far! I LOVE seeing your updates! Who knew that there were so many different options! We installed a couple of Cadet heaters about 15 years ago and had no idea the new ones were so nice. (Well, never thought about it). Anyway, after seeing your new ones, I think we should change out our old for new. The old ones just have a knob for on and off. Your guest house turned out beautifully. Thanks so much, Emily! I haven’t seen the old ones but yes, the new ones are awesome and really fit in looks-wise. The Energy Plus heaters have some great features. Switching out your old ones for the new ones will totally change the look of your rooms I’m sure.